If you or a loved one has been involved in a motorcycle accident in San Diego, you may be struggling with everything from high medical bills to loss of mobility in the aftermath. Although it’s impossible to go back in time to prevent the accident from occurring, you can still take steps to ensure you receive any damages you deserve. That involves coordinating with an experienced attorney. Because motorcycle accident laws vary from one state to another, you need to work with professionals who understand how to build a case in San Diego. If you or someone you love has suffered as a result of a motorcycle accident in San Diego, contact the Jorgensen Law today to learn what steps you should take next. 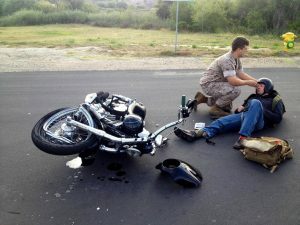 Motorcycle riders are more likely than other drivers to sustain major injuries when accidents occur. That’s simply due to the fact that they aren’t protected by the exterior of their vehicles. Without that extra protection, they can experience greater harm than another driver in an accident. This is a major reason why it’s important to contact a motorcycle accident lawyer if you’ve been involved in this type of incident. Having a professional on your side is key to addressing the financial and emotional consequences of a motorcycle accident. You need help from an expert who understands how to determine negligence in a case like yours. Because motorcycle accidents can differ from other auto accidents, you need to work with a motorcycle accident lawyer who specializes in these cases. In the immediate aftermath of your accident, the most important thing to do is make sure you receive medical attention for any injuries you may have sustained. You should also take all steps necessary to safely move away from other vehicles on the road. Ideally, the other driver involved in the accident will remain on the scene. California law requires drivers to stay at the scene of the accident in order to share all relevant information with each other. However, even if the other driver left the scene, it’s still important to call the police. Doing so is key to preparing for your consultation with a motorcycle accident attorney. Having an objective party at the scene to document it simply helps you build a stronger case. That said, if your injuries don’t prevent you from doing so, you should also take pictures and write down your own memories of the incident. Bring these, along with relevant medical records and insurance policies, when you first meet with a motorcycle accident attorney for a consultation. Again, drivers who cause motorcycle accidents don’t always remain on the scene. When that happens, you need to get a motorcycle accident help from a professional attorney. They’ll work with the police to determine the status of the investigation into the identity of the other driver, while also leveraging their own resources to ensure the accident is investigated thoroughly. 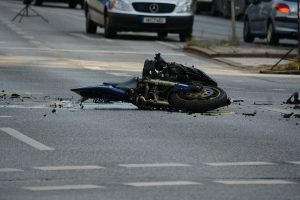 Even if the other driver did remain at the scene, you still need motorcycle accident help from a qualified attorney who understands how to prove negligence. Because many factors can contribute to a motorcycle accident, determining who is at fault is often a complicated process. Attorneys will review all documentation, interview witnesses, and coordinate with law enforcement (and any other necessary parties or agencies) to help you build the strongest case possible. Remember, because motorcycle riders are less protected on the road, the physical consequences of a motorcycle accident injury can be substantial. Working with an attorney boosts your odds of getting proper compensation for any medical bills you may incur in the aftermath of the accident. However, that’s not the only type of damages you may be eligible for. After all, a motorcycle accident injury can have a major impact on your quality of life. Maybe your injury has resulted in limited mobility. This may prevent you from working. It could even prevent you from being able to independently perform basic daily tasks. This results in an emotional toll on top of your physical injuries. In some cases, you may also receive damages to address such consequences as well. You may clearly understand the financial, physical, and emotional consequences you’ve experienced as the result of a motorcycle accident. That doesn’t mean you have the experience necessary to prove you deserve a certain amount of compensation. Calculating a motorcycle accident settlement involves evaluating many factors. You’re much more likely to get the best possible outcome if you work with attorneys who understand these cases thoroughly. At the Jorgensen Law, that’s exactly the kind of expertise we offer. If we decide to represent you, we’ll work hard to ensure you receive a proper motorcycle accident settlement. Contact us at 1-888-855-2948 today to schedule a consultation. Don’t hesitate to take this step. Under California law, you’re required to file a lawsuit by a specific deadline. If you don’t, you won’t be eligible for damages. Avoid this by acting sooner rather than later.